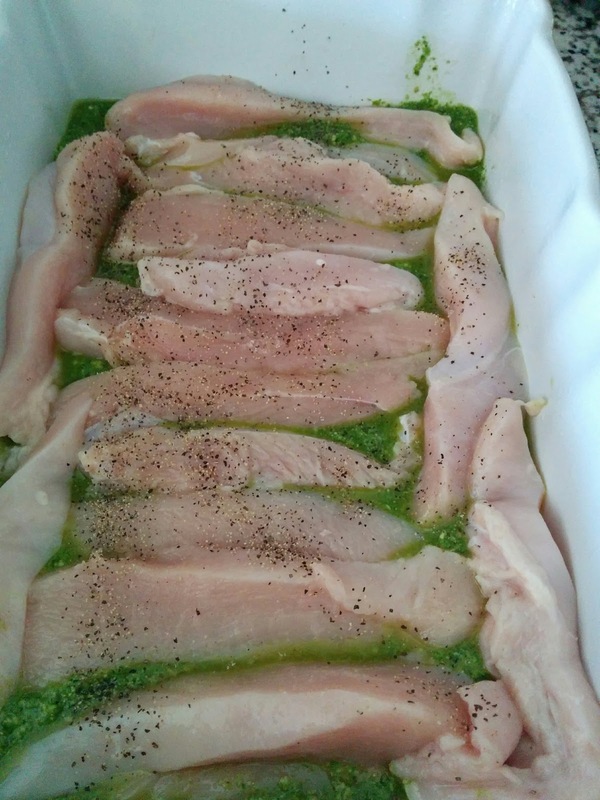 All you need here is boneless skinless chicken breast (cut into big strips) and your favorite pesto. Start with a layer of pesto then chicken and spices and repeat and top off with parmersan cheese if you would like. Bake in a 370 deg oven for about 40 minutes.